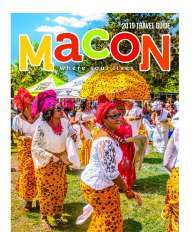 This Memorial Day weekend, folks from fourteen states and even a couple from Australia will visit Macon. They&apos;re part of a tandem cycling club named The Peaches. The Macon-Bibb Convention and Visitors Bureau says they recruited this group and did two site surveys to seal the deal. The CVB estimates the economic impact for all of this will bring nearly $90,000 dollars since they will spend three nights here. The club began in 1999 and since then, the race director Eve Kofsky says, they&apos;ve doubled in size so Macon fits their needs. "Macon is centrally located so people can get here," Kofsky said. "And once you get here, it&apos;s easy to get out into the country and once you get into the country, there are some nice smooth roads." Eve went on to tell WMAZ&apos;s Suzanne Lawler why tandem cycling is so much fun. "The great thing about riding tandems is your always together, even if your lost, you&apos;re never alone," she said smiling. "You&apos;re always with someone. It&apos;s a great thing for people with different riding abilities to ride together." The Georgia Tandem Rally last visited Macon in 2011. They try to visit different cities every year.